We believe that our faith leads us into a life of repentance and resistance. That is, God is calling us to change our minds and hearts as well as the minds and hearts of the beloved community outside our sphere of immediate influence, our brothers and sisters on the street, in the military, at the Ministry of Defence and at Downing Street, London. To create a place, through the guidance of the Holy Spirit where Justice and Peace embrace. 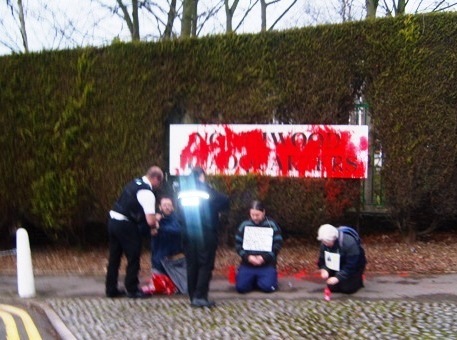 We vigil (stay awake) outside Northwood Military Headquarters, Middlesex, U.K. While the state wants us to remain sedated, we watch and pray for just one hour. Typically we vigil at Northwood Military Headquarters. Northwood is the headquarters for British joint forces (air, land and sea, as well as special forces like the SAS) deployed in Afghanistan and Iraq, as well as Trident nuclear submarines. The Northwood facility has 2,000 employees and is presently undergoing a major expansion, up-grading and refit to make it ready to work with the new European Defence Force. Its website asserts that “Northwood is very much in the front line” of military operations. “Then they called them in again and commanded them not to speak or teach at all in the name of Jesus. But Peter and John replied, “Judge for yourselves whether it is right in God’s sight to obey you rather than God. ” Acts 4:18-19. 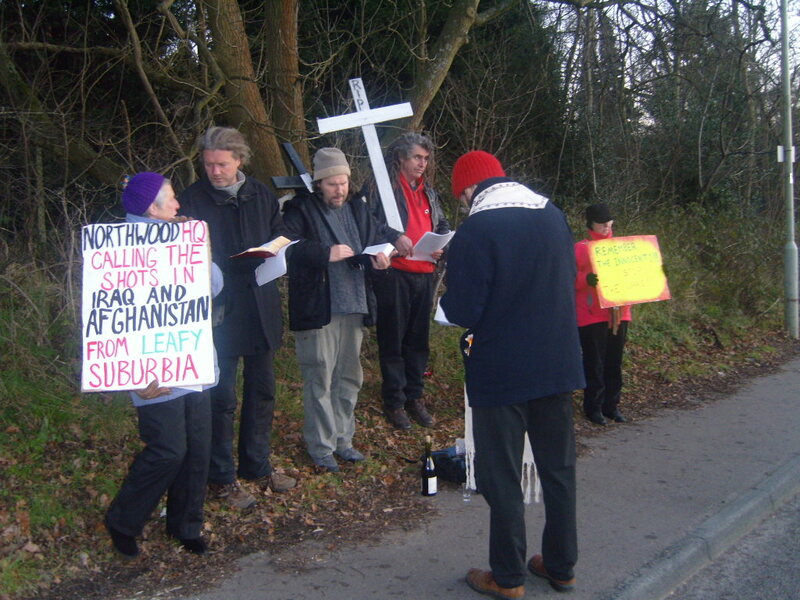 The Catholic Worker has sustained a constant peace presence and nonviolent resistance at Northwood Military Headquarters since the initial 2001 bombing and invasion of Afghanistan. 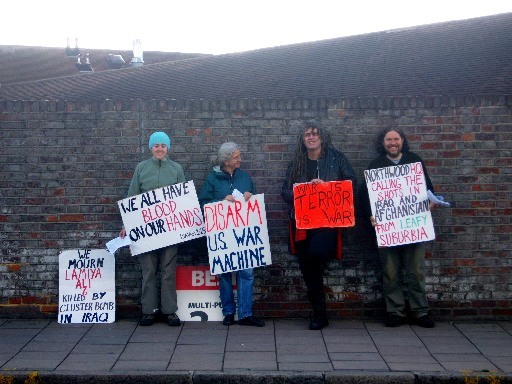 In the past London, Oxford & Dublin Catholic Workers have shared in joint actions of resistance towards Nuclear Weapons, The Arms Trade, Unfair Asylum Policies and State War Making. Click here to see our history.